Breathe new life into these picturesque nature images by swapping and jigging randomized pieces. Rearrange the pieces to see the image. Make sure you've placed all the pieces into the right places to complete each level. 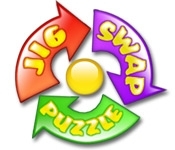 Have fun creating your own world of nature in Jig Swap Puzzle!